Thank you Rick for having me on your blog today! “What actually inspired you to write a book, I never knew you were creative?” My cousin was giving me a hard time at a book signing last month. I laughed at her and told her something like; I have many hidden talents and just laughed it off. When I get to thinking about it, honestly, I think it had to be my mother’s bedtime stories. She is an amazing woman and has such an imagination and she seems to have passed that on to my siblings and me. I remember her nieces and nephews would specifically come to spend the night so they could hear her stories. It wasn’t like she wrote them down then read them, she told them ‘off the cuff’ and they were great! One was about ‘The alligator that got flushed down the toilet’ and it kept us laughing. I think that was the best thing she could have ever done. Each story had a moral and a life lesson. The fact that she would get us all together and entertain us was just great. I think she had as much fun in the telling as we had in the listening. It made us want to entertain people that way. She has helped me in my writing career. She is the first one I ever showed any of my work and she encouraged me to continue it. I’ve had many reasons to write, I want to entertain, to try to write a good ‘caliber’ book and several other things but I always think back to nighttime at an old two-story house with my mom telling the stories and being completely entertained. I just hope one day someone finds one of my stories half as entertaining as hers were for me! Thanks mom!!! 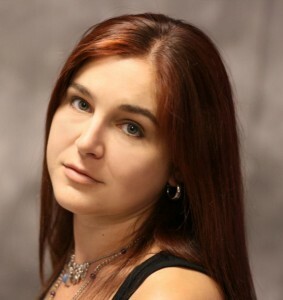 Author Ashley Dawn was born and raised in rural Arkansas where she developed her love for writing while helping in her parent’s office. She graduated with an accounting degree from the University of Central Arkansas. 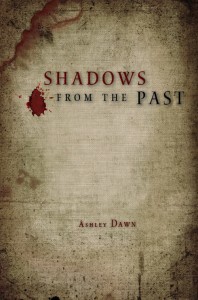 Ashley has been writing professionally for the past seven years. She and her family make their home in TX. enabled. BannerSnack is a professional, easy to use banner maker application. 1) One Entry if you’re a follower [You can follow through Goo gle Friend connect to the right, you can also sign up to follow through Twitter or Facebook]. 6) Contest will continue until 1/31/2011. The Psyonic was the first book I successfully completed. Oh, I’d started at least a dozen fantasy novels, muddling through from when I had no clue how to write to figuring out about little things like copyright laws. I’ve got enough material from unwritten or unfinished stories (actual original stories) to write several more novels. Of course, the problem in finishing them was just that: I crammed so much information and so many storylines into one place I could never finish a story. With The Psyonic, I actually started out with a very, very simple and short storyline, and worked from there. As it turned out, I actually completed the story and ended up making it much longer and complex than the original idea was. Sometimes I look back at the story and think about ways I could go back and rewrite it to make it longer and far more complicated. In the end, however, I don’t think it’s necessary. Inspiration and conception should be simple and vague, an allow for natural creative growth. Overcomplicating things before getting started just bogs down the writing and gets you lost along the way. And really, where’s the fun in writing a story, if you can never make it to the end? Isn’t it much more fun to get stories finished and find yourself with several stories you can share with others and swap around as inspiration strikes, than spending years working on one very long and excruciatingly detailed work you won’t really be able to share until it’s complete? And imagine how the sequels would be. Could you account for everything? Would you have to? Just how many should you plan to, and what if it’s not as popular as you’d like it to be? Of course many of my favorite novels are extremely long and highly complex, but shorter and simpler novels have captivated me just as much when I read them, and more often than not, they’ve got plenty of sequels to follow afterward. And there’s nothing saying that the longest stories of all couldn’t be summed up in very short and colorful ideas. Think of some of your favorites, and some of the famous epics out there, can you sum up those stories into short ideas? Probably. And that’s probably exactly how most of them started out. Shanda Sharlow began writing short stories from the time she could hold a pencil. Through the years, she’s scribbled down thousands of pages of random stories and unfinished novels that were eventually abandoned or forgotten about. 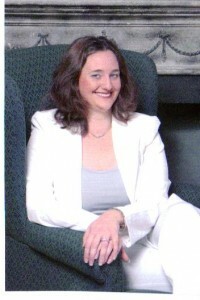 In 2005, she set down to finish a full fantasy novel in the form of the Psyonic, which she managed in a few months. For awhile, she shelved the book without any way to get it realistically published. After Amazon Kindle came out, she found the opportunity to release the Psyonic to the public, and is now working on another full novel. Currently, she lives in Vancouver WA with her father and brother, and edits novels for other people when she’s not writing. Hale lived his entire life in hiding, traveling through slums and nondescript villages, never staying anywhere long enough for the people there to recognize his face. Never staying long enough for anyone to ferret out his secret. When he comes across a woman who recognizes him, he becomes the confidante of a Princess. Yet the halls of the palace hold far more danger than that of the streets, for within its shadows lurk dark mysteries and murderous intent. Desperate to remain hidden from those who hunt him, Hale must unravel the hidden machinations of the gathered royal families before it’s too late, or it will be more than his life that he loses. 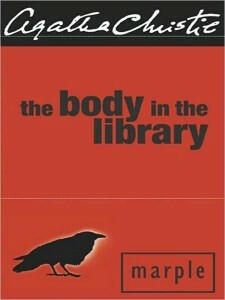 A body is found in a library. There is no clue how it got there, or who killed her. Miss Marple is called in by her friend Mrs. Bantry, while Constable Palk leads the police investigation. This was a mystery in the classic sense of the word. You don’t know who the killer is, why, or how it occurred until the very near end of the book. There are many false clues (red herrings) thrown in and a lot of details to absorb on the way to obtaining the answers. This was my first foray into reading an Agatha Christie novel. I found that for the average reader, some of the language and terminology might not be real clear. While the events were cleared up and made total sense in the end, it seems that there would have been no way to outguess Miss Marple, because some evidence came forth that the reader was never aware of. However, that being said, this novel kept me entertained and guessing from beginning to end. There’s a few strong words, and themes, so it might not be appropriate for very young readers. Howver, for a quick mystery that will keep you on your toes, I think you’d probably enjoy this. Lysander – Male Vampire – Approximately 2000 years old. 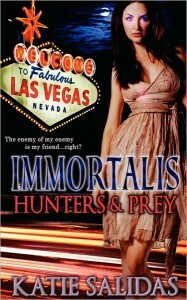 Alyssa the newly turned vampire is back in a sequel to Immortalis: ?. This time around it begins with her having nightmares that a former adversary is still alive and is back. This will take her and her vampire clan through the city of Las Vegas in their search for an evil priest and an attempt to stop his nefarious plans. 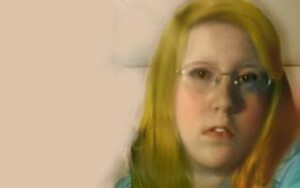 I’m not ususally the paranormal fantasy type. I tended to like this book though. It kept a nice pace through the story, the story proceeeded in a logical manner, and within just a while, I found myself like these characters. There were some tense scenes involving Alyssa’s friend and some escapes, where you aren’t sure if all those you know are going to get out of things. There was some romance, and a little action. If I had any problem with this book, it would be the lack of action. Of course, that’s coming from a male perspective. To me if there were a group of 6 or so vampires going up against an evil army, there should be tons of action. It felt a little anticlimatic to me. While there was a lot of action with Alyssa, most of the action with the others was just kind of ignored. Overall though, for those into the paranormal fantasy type novels, I think you’d probably find this book enjoyable. I liked it, but not sure that it’s my type of book, nor am I sure that I can give do justice to reviewing it, knowing that it’ s not something I have a lot to compare to. The youngest of four children, Katie has always had a desire to entertain. Since, early childhood, she’s dreamed fantastical characters and scribbled them into pages of various journals and notebooks. Taking an interest in vampires, she devoured every book, featuring those blood sucking creatures, in any genre she could find. It was only natural that a love of reading vampire stories, turned into a love to write them. Katie is also a Las Vegas native, having grown up in the famed City of Sin. She loves to feature it as a recurring setting for many of her stories. *Disclaimer* A special thanks goes out to Brandi at BKWalker Books and Katie Salidas for a review copy of this book. It in no way influenced my review. 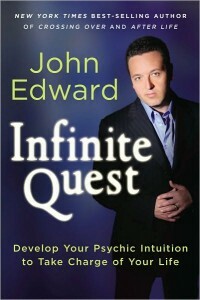 John Edward narrates training that he’s given others in how to unlock their psychic abilities. There was a lot to digest in this book. He covers a lot of procedures on how to protect yourself, how to make contact with those who’ve crossed over, and some of the pitfalls to avoid. A lot of it is an ethics course for psychics in what to say and what not to say. I think for those with a strong belief in the possibility of this, or those who have some psychic abilities would find this book very useful. I however, even though I tried some of his exercises, and might continue to do so, didn’t find myself with messages from the dead. I think though he really knows his subject and did a very clear job of explaining the details behind it. It may not be for all people, or all beliefs, but I figure there are some out there who will really get a lot out of this book. A Ship is destroyed in space. All that’s found is a container and a signal transmitter. This debris is located in Hutt Space and put up on auction to the highest bidder. The secrets that are hidden though will require a joint force of The Republic, Mandalore, Jedi, the Empire, and the Sith in order to save the galaxy. 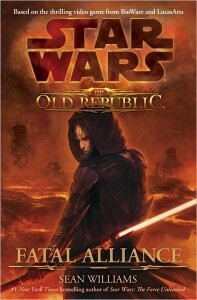 Set in the days of the Old Republic, this book gives us a view of a world where the Sith are as numerous as the Jedi. It wasn’t a perfect book. The premise was a little overdone, ie. an undiscovered technology puts the galaxy in jeopardy. It’s been there, done that. Some of the characters were archtypes, ie. The Solidier, the Smuggler, The Spy, the Jedi, the Sith. Hmmm, and it’s based on a game, wonder if that might be the reason. I do think the novel was a fun story. When there was Sith or Jedi action, it really grabbed you. But I think unlike the Darth Bane series, the Sith and Jedi were just an “also there” character, so you don’t see as much of them as the cover would have you believe. All in all for a story set in the ancient history of the Star Wars galaxies, I found it enjoyable. Not the best I’ve ever read, but a decent story and a good book to read to kill time. I’d like to thank everyone for all their support during my first full year doing book reviews. It’s been quite a year. We’ve reviewed 100 books since January 1st 2010. We’ve given away over 70 books this year, totalling almost $1400. We’ve also conducted ? interviews with various authors. Special thank you’s go out to Anna, Valerie, and Brad at Hachette Book Groups. Julie and Anna at FSB Associates. Bonni at Red Wheel Weiser. Brandi at BK Walker books. Nikli, Rebecca at Cadence Marketing Group, Sarah at Terra Communications. Also thanks to all the authors who took time out of their schedules to do interviews with us. I look forward to 2011 and to working and enjoying this love of books with all of you. Merry Christmas, Happy Hannakuh, Blessed Kwanzaa and joyous holidays to all of you out there. And may you have a great New Year.